Bored of squares, cubes, blocks and bubbles? Did you have fun with rotating cubes in the 80s or falling blocks in the 90s? What keeps your brain entertained in the 21th century? 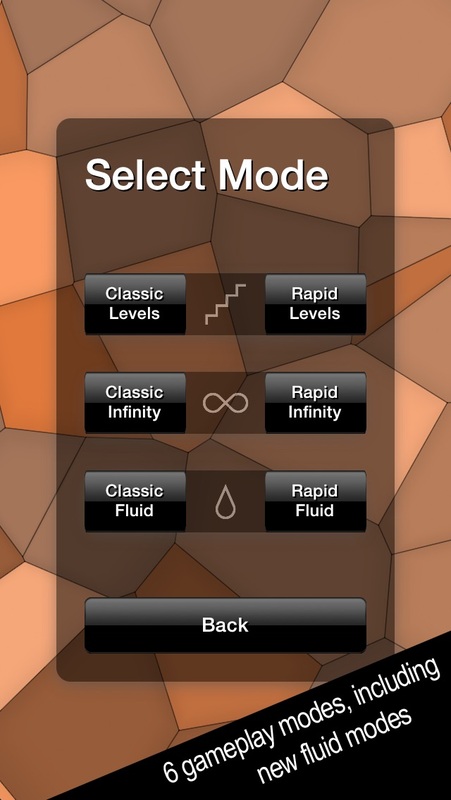 Have you noticed there haven’t been many novel logic/puzzle games, based on pure geometry? 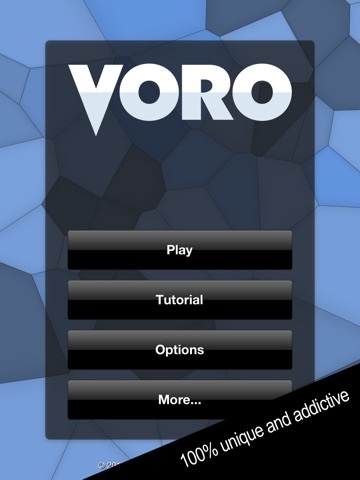 Voro is completely original, unique, fresh and engaging puzzle game. 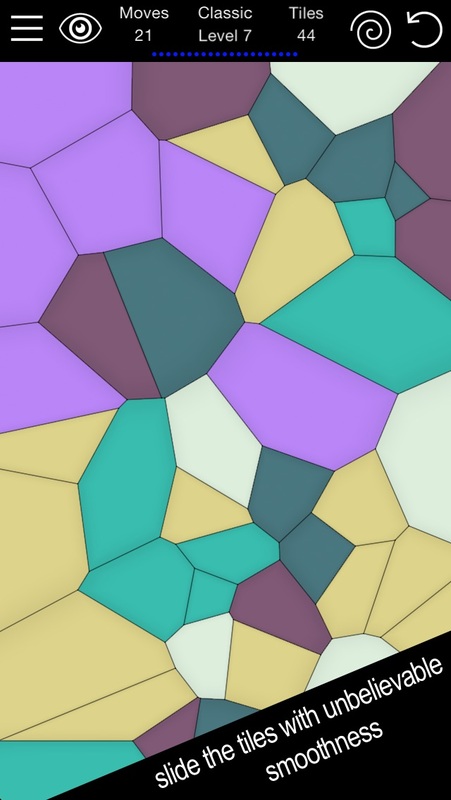 Clear all the tiles by dragging them into clusters of the same color, but there’s a twist: the geometry is not orthogonal. 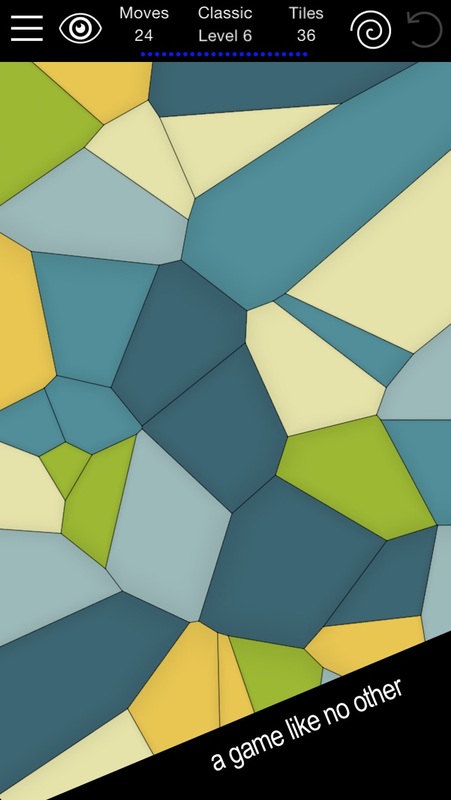 Voro takes only a few seconds to learn, but it has a great replay value. The tiles are positioned randomly, so each game is different. 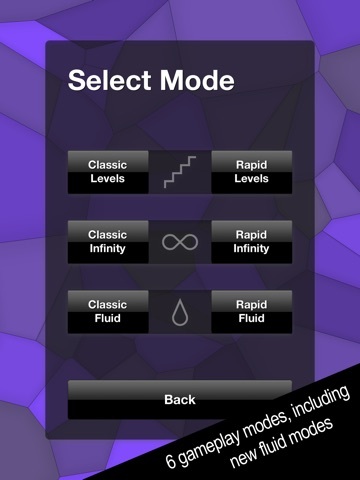 Enjoy the freedom of free-flow geometry while effortlessly moving the tiles across the board. 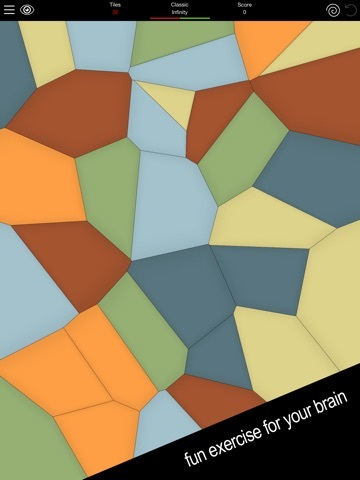 Voro brings countless hours of fresh and engaging fun for both sides of your brain. 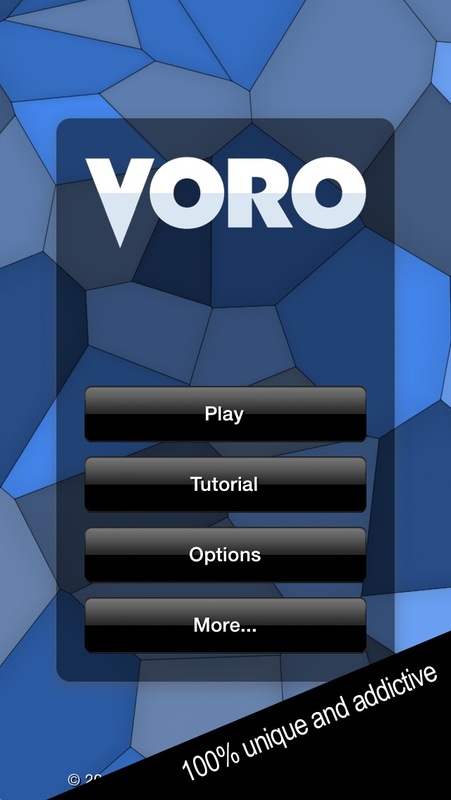 "Voro is a perfect example of why I love my iPhone. 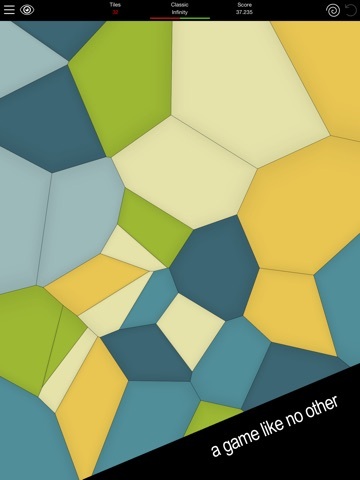 What you’ll love most about this game is that after almost five years of the App Store, someone managed to create a puzzle game that is truly unique." 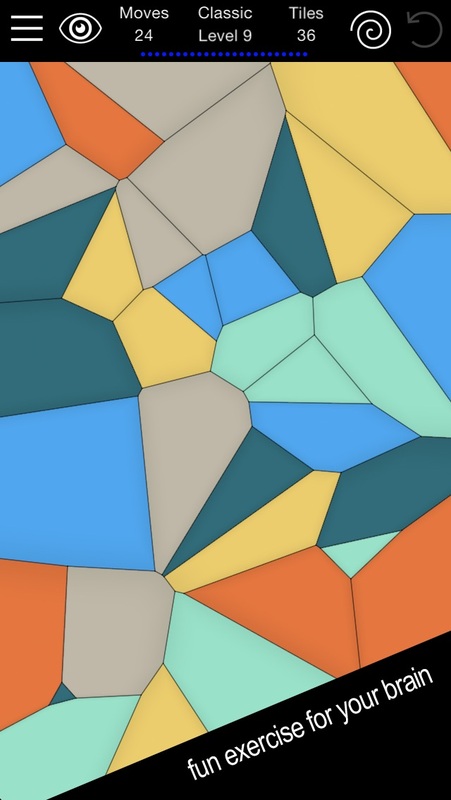 "Voro is a fun puzzle game unlike most you’ll see in the App Store; in fact, it’s probably like nothing you’ve ever seen before." An amazing, 100% original and engaging puzzler WITHOUT squares, cubes, blocks and bubbles! "Absolutely one of the best puzzles out there. I tried it out of curiosity, now I can't put it down. " "You'll be doing "just one more" all day - Very cool, intriguing yet very easy to play. Great design. Love it." 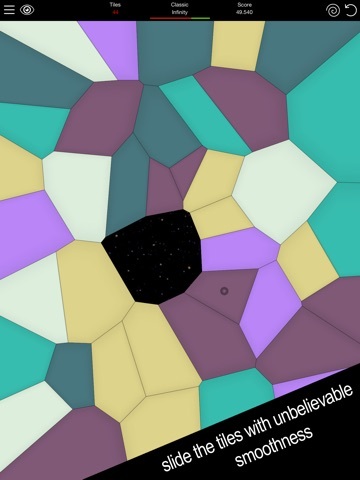 "It's been a while since I've seen a puzzler that was simple, interesting and original. Very cool game that is really easy to pick up and play!" "Juste extraordinaire - C'est génial." "Outstanding - This is the game that the iPad was made for. No other game makes such good use of the iPad's capabilities."